The railway at Sutton Coldfield runs north to Lichfield and south to Birmingham New Street and then on to Longbridge and Redditch. For the majority of the 19th century, people travelled between Birmingham and Sutton Coldfield by horse-drawn carriage, a journey that took around 80 minutes. Birmingham received its first railway in 1837 with a terminus at Vauxhall station, now Duddeston railway station. In 1859, an Act was passed for the construction of a railway line connecting Birmingham to Sutton Coldfield via Erdington. Construction commenced in 1860 on the line which passed through Vauxhall station, although by this time it was being used only as a goods station. The line opened on 2 June 1862 with Sutton Coldfield railway station being the terminus. An Act of Parliament for the continuation of the railway to Lichfield was passed on 23 June 1874, with construction starting in October 1881 and services beginning in 1884. The line was extended to Lichfield Trent Valley railway station on 28 November 1888. A proposed second railway line by the Wolverhampton, Walsall and Midland Junction Railway Company through Sutton Coldfield was met with opposition from residents who were concerned about the route cutting through Sutton Park. A meeting objecting to the proposal was held on 15 April 1872, however, construction was authorised on 6 August in the same year. The WWMJR Company merged with Midland Railway in 1874 and construction commenced soon after. To calm objections from residents, Midland Railway promised cheap local coal and paid £6,500 for a 2-mile (3.2 km) stretch through Sutton Park. Services on the line began on 1 July 1879, with trains stopping at Penns (Walmley), Sutton Coldfield Town, and Sutton Park in the town, as well as at Streetly, Aldridge, and Walsall. Ultimately, the line connected the Midland Railway's Wolverhampton and Walsall Railway line to their Birmingham to Derby line. The railways quickly led to Sutton Coldfield becoming a popular location for day excursions and picnic parties for the residents of Birmingham, escaping the pollution of the city for the landscapes of Sutton Park. The 1863 edition of Bradshaw's Guide described Sutton Coldfield as "a place of no very particular note, beyond an occasional picnic excursion". In the Whit week of 1882, 19,549 people visited Sutton Park, with numbers dropping to 11,378 in the same week the following year. In 1884, there were 17,486 visitors, of whom 14,000 went on the Monday. In 1865, on a small eminence adjacent to Sutton Coldfield station, the Royal Hotel was constructed, hoping to capitalise on the new tourist industry the town was witnessing. The hotel was beset with financial difficulties and closed down in 1895, becoming Sutton Coldfield Sanatorium for a short period of time. As well as becoming a tourist spot, Sutton Coldfield also developed into a commuter town to Birmingham, as workers were able to live away from the pollution of the city and travel there by train. During the late 19th century, it was the wealthy manufacturers who moved to Sutton Coldfield, and it was not until the turn of the century that ordinary workers were able to move as well. The steam shovel (above) removed the soil from the cutting, just the other side of Four Oaks station, it was then transported by horse and cart to construct the embankment which crossed Little Sutton Mane, Tamworth Road and Boswell Road. I assume that when the work reached Blake Street the soil was used to construct the embankment towards Shenstone. David Wilcox. Right is the same stretch of line today. This train has just left Four Oaks station right behind me, going to Lichfield. Before the railway, it would take approx 80 minutes to ride from Birmingham to Sutton Coldfield by horse drawn vehicle. In 1859, an Act was passed for the construction of a railway line connecting Birmingham to Sutton Coldfield via Erdington. The line opened on 2 June, 1862 with Sutton Coldfield railway station being the terminus. An Act of Parliament for the continuation of the railway to Lichfield was passed on 23 June 1874, with construction starting in October 1881 and services beginning in 1884. The site of the RM Sutton Park Station Depot seems to have descended from Pudsey Jesson to his daughter Anne Jesson (1733-1799). Anne Jesson married Sir Charles Holte (1721-1782), the 6th Baronet Aston of Aston Hall, Birmingham in 1754. Sir Charles Holte had inherited title and land from his elder brother Sir Lister Holte, 5th Bt, on the latter's death in 1770. Sir Charles Holte and Anne nee Jesson had a daughter, Mary Elizabeth, but no male heir. Mary Elizabeth Holte married Abraham Bracebridge of Atherstone Hall in 1775, and it was Bracebridge's "unfortunate business ventures" which were to cause the break-up of the Aston estate. As Sir Charles Holte had no male heir, title to the property in Sutton Coldfield passed to Heneage Legge (1747 - 1827) who died without issue of any kind. So, in accordance with Sir Lister Holte's Will, title passed to Lewis Bagot, 76th Bishop of Saint Asaph and fifth son of Sir Walter Wagstaffe Bagot of Blithfield Hall, Staffordshire. As Lewis Bagot's line also failed, title passed to Wriothesley Digby of Meriden in accordance with Sir Lister Holte's Will. Copy of order of the Master of the Rolls authorising the grant from the Warden and Society of the Royal Town of Sutton Coldfield, co. War., to Sir Edmund Cradock Hartopp of Clifton, co. Glouc., bart., and Edmund Cradock Hartopp of Four Oaks Hall, co. War., of two pieces of land adjoining Four Oaks Park and being part of Sutton Park, in exchange for other lands adjoining Sutton Park. [Birmingham City Archives, ref: MS 3069/Acc1935-063/443143, 16 November, 1827]. This exchange required Cradock-Hartopp to exchange 93 acres 3 roods and 36 perches (38 ha) he owned adjacent to the Park near the town for 65 acres and 31 perches (26 ha) of Sutton Park and also to build a new entrance to the Park (Town Gate) and a new road (Park Road 517 yards long and 30 feet wide) linking the new entrance with the town. bridge by Park Ridge (top end of Midland Road) I am sure this is the same place as it is in Feb 2014.
both above images: Richard Marriott (stolen off FB). Ex-LMS 'Stanier' 2-6-2T No 40080 stands at Sutton Coldfield station on a local passenger train from Lichfield bound for Birmingham New Street. Number 40080 was a member of Stanier's least successful designs being to heavily influenced by Derby with poor internal steam passages and travel design. It was built in March 1935 at Crewe and lasted in service until September 1962 when it was withdrawn from Willesden and scrapped in January 1963.
are doing something about. The underside, at one time, had boards bolted to the bridge covering presumably, loose bricks. Opening in 1879, the station stood on the then-Midland Railway's Walsall & Water Orton Branch which joined their Birmingham to Derby line between Castle Bromwich and Water Orton with Walsall station and on, via the ex-Wolverhampton & Walsall Railway line which had been sold to the Midland Railway by the LNWR in 1876, to Wolverhampton High Level. The station itself is roughly five minutes walk from the LNWR's Sutton Coldfield station and 10 minutes from Sutton Town station* (which is the next station on the line heading from Walsall) and this saturation of rail cover in what was not a densely populated area contributed to the closure of Sutton Town in 1924 and finally the whole line in 1965 with the line remaining open for goods traffic as it does today. *Sutton Town Station. The station was opened as Sutton Coldfield on 1 July 1879, and was renamed to Sutton Coldfield Town on 1 May 1882. On 1 April 1904 the name reverted to Sutton Coldfield. It was renamed again to Sutton Coldfield Town on 2 June 1924, but closed to passengers on 1 January 1925. Image left and below left. The Sutton Coldfield train crash took place at about 16:13hrs on 23 January 1955. 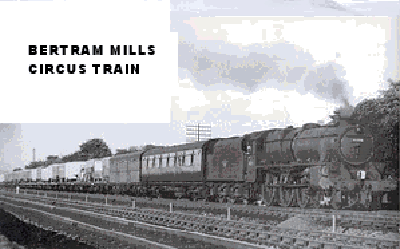 Headed by an LMS Class 5, 4 6 0 steam locomotive No 45274, the 12:15 York to Bristol express, consisting of ten carriages, approached the Sutton Coldfield railway station at about 55-60 mph, twice the permitted speed of 30 mph. When it reached the sharp curve immediately before the station, the train derailed, colliding with the platforms. The carriages, engine, and station buildings were severely damaged. The first carriage was crushed between the engine and the second carriage. The fourth carriage was knocked into the air causing it to drag along the station roof, damaging both the roof and the platforms to either side. There were 17 people, including the train crew, who were killed and 25 injured. It is to be noted that the train had been diverted away from its usual route into Birmingham via Tamworth because of engineering work. The regular driver did not know the diversionary route via Sutton Coldfield, so another driver, fully conversant with it, had joined him at Burton-on-Trent to 'conduct' him over this section. However, the driver, complaining that the rough riding of the engine was tiring him, left the footplate and took a seat in the train, leaving the conductor driver in charge. This action was later criticised by the Inspecting Officer, who commented that even though he did not know the route, the safety of the train was still his responsibility. The number of casualties was prevented from rising as a result of the actions of two local people who rushed up the railway line to stop a train heading towards the crash site. Two railway employees also raised the alarm to other stations, changed the signals to danger and placed detonators on the tracks to warn oncoming trains. One of the two had been injured and shocked by the accident, and both were awarded with gold watches for their work. The scene was attended to by a mobile surgical as well as 40 additional ambulances from surrounding districts. RAF servicemen from Whitehouse Common provided aid to the emergency services. The train was making up some time, running late. There was a gradient to climb after the station which was best approached at full speed. The steam locomotive (like most at the time) was not fitted with a speedometer. The engine was riding roughly, which may have contributed to the driver's misjudging the speed. It seems therefore that the driver knew he was exceeding the speed limit but did not realise the extent of the danger (similarly to the Salisbury rail crash of 1906). Right: Ex-LMS 2-6-4T No 42421 travels slowly through the accident damaged remains of Sutton Coldfield station on 23th January 1955. On Sunday last, January 23rd, the London Midland Region 12.l5 p.m. train from York to Bristol was derailed whilst passing Sutton Coldﬁeld Station, near Birmingham, at 4.l5 p.m. As a result of this accident seventeen people lost their lives and about forty were injured. It would appear that the train was passing round a left-hand curve when the derailment occurred. Normally this train runs via Tamworth, but on this occasion it had been diverted to a loop line passing through Sutton Coldﬁeld, as repairs were in hand on the main line near Tamworth. For this reason a pilot driver was also on duty on the footplate with the usual driver and ﬁreman. As a result of the derailment the locomotive was thrown over on to its side and nine of the ten coaches of the train left the tracks. Reports say that the leading coaches were telescoped, two of them being thrown on top of the locomotive and three others thrown on to their sides. Amongst those killed were the pilot driver and ﬁreman, whilst the driver of the train was seriously injured. British Railways operated a car ferry by train from Sutton Coldfield to Stirling. Castle 5043 Earl of Mount Edgcumbe is seen passing Wylde Green while working Vintage Trains 'The Red Rose' on Saturday 16th April 2011. Email: Nov 2013: I 'surfed' into your site after doing a bit of research about railways in Four Oaks and Sutton Coldfield. I was looking up about the train crash in 1955. My Father was the Signalman working on that night when the train crashed, and he was of course interviewed about possible wrong signals the like as part of the investigation, but as you know that had nothing to do with the crash cause. I remember him telling me some things about the crash - and how it took weeks to clear up the debris, and the huge impact on all the workers about the deaths on that night. It seems callous now in one way, but some of the stones from the crash were taken day by day home by my Father and he built a path into our house from it! Its still there. I do have all of the newspapers about the crash still in the loft somewhere too. I remember my Father saying how his Father was a Gangman (I think that's what he called him) who was in charge of one group of Irish Workers who built the line - due to the amount of alcohol the 'Gang' could drink one of the pubs in Mere Green gave him free beer for life to take them to drink there which is what he did. My other Grandfather was the Station Master at Shenstone and lived in the railway cottages there. I have loads of young memories about hissing Tilly Lamps at Blake Street Station, standing at the bottom of signals as a train passed when my Dad lit them at night for overtime money (Heck that was dangerous I was only 4 or 5??) playing in the Signal Boxes - pulling the leavers with help, how he built the fish pond on Four Oaks station - and how he used to polish the bridge every weekend when he first started at Four Oaks aged 14. Thanks for 'prodding' my memories - a super detailed site. Regards, David Gilbert.